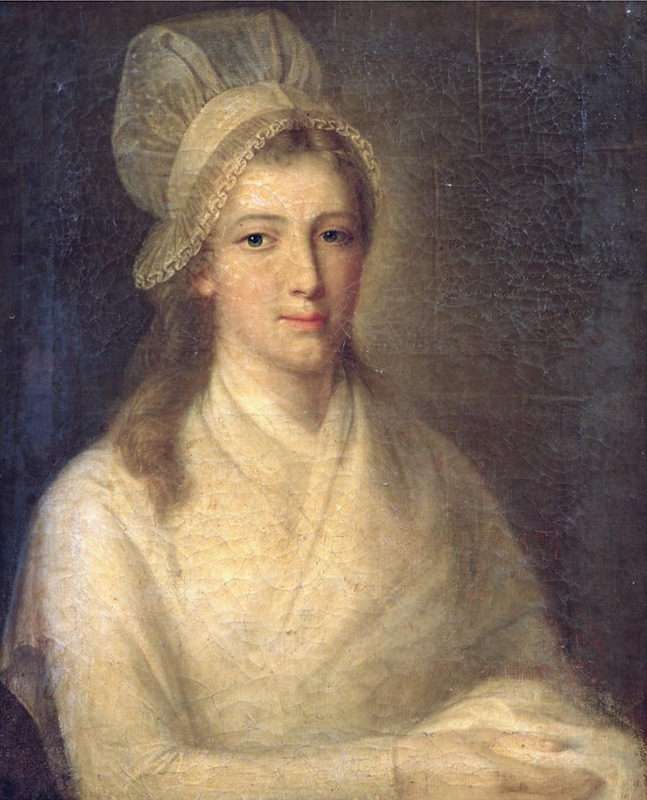 Charlotte Corday, by Jean-Jacques Haeur. the cumulus of your cap. Swaddled, like an expired bride. on the pond of your lap. the form of a murderer? A man whose skin did not fit. But did you peep at this one man? Losing lung, how did he sound? White geranium with pinker veins. In whose bed did you grow? their tools and fingers asked. History is not without its brutal women, but how few have been ascribed purely political motivations for their brutality? Corday swore that she was acting independently of any group or individual–yet after she was executed her body was inspected by officials who wished to discover if she was a virgin. They had suspected she had been acting under the auspices of a lover and were surprised to find that she was ‘intact’. The whole episode (not to mention the slapping of her decapitated head, apparently resulting in a ‘feminine’ blush from the beyond) was striking to me. At a period that saw over 40,000 political deaths, Marat’s remains notorious because his judge and executioner was a woman, with the temerity to have political convictions of her own. Murder is never excusable, but Corday invoked a utilitarian approach in an attempt to dam the swelling tide of a bloody sea. Under the Second Republic, Corday was hailed as a heroine. But how should we view Charlotte Corday now? With each new representation of her in art and fiction, the truth of her identity has, like the blood in Marat’s bathtub as painted by David, been watered down. She now occupies an uneasy space between angel and assassin, both convent girl and cold-blooded killer. It is hard to define her beyond these supposedly dichotomous positions, in the confines of which women have been placed for millennia. Returning to this poem three years after its initial publication, I can see points where I was guilty of some of the same suppositions of both the men who assaulted her after death and those who have since tried to represent her, such as David and Munch. The poem questions how a sheltered virgin would respond to a naked man in the bath before killing him. I wonder now if this was a reasonable line of enquiry. The first stanza indicates an acceptance of the image of Corday as presented in masculine art following her death. Would Corday, fiercely independent and confident to the point of murder, appreciate being described as “an expired bride”? In focussing upon this facet of Corday, whose motivations have always been obfuscated by her femininity, was I not simply perpetuating a position that claims women cannot be political, but merely sexual? Or is asking these questions an acceptable means of approaching a nuanced understanding of a clearly complex character? If I were to approach the topic again, I might shift the focus of that opening stanza to indicate the distance between cultural representations of Corday and her historical actions. Which version of Charlotte does the speaker see? I take some comfort from the fact that the poem never attempts to answer any of its own questions. Revisiting my own work in the light of my current research into feminist rewriting has emphasised the dynamic processes of cultural reception which we all experience and to which we all contribute. Rewriting has the incredible capacity to amplify those who have not had a voice, or to address questions that have not yet had sufficient attention. However, it is crucial to make sure that when artists use revision as a means of disruption, they do not lead to further gaps or silences. The identity of Charlotte Corday has been repeatedly disrupted by art since her death. Neither of us are the same person as when I wrote the poem. The Death of Marat, by Edvard Munch. My poem originally appeared in The Lamp, 2012. Edited by Anahit Behrooz and Tess Goodman. 2. 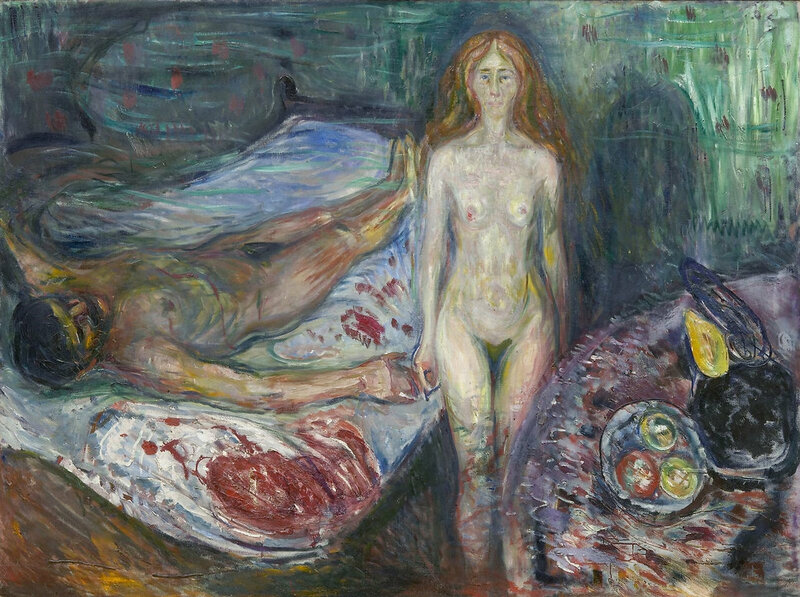 1907 version of ‘The Death of Marat’ by Edvard Munch.